Interior Designers Vs. Interior Decorators: What’s the Difference? Interior designers and interior decorators…is there a difference? Contrary to popular belief, these descriptions are not interchangeable. In today’s post I break down the real differences between interior designers and interior decorators. While there are several distinctions between interior designers and interior decorators, the most important one is training. Interior design requires formal training, as well as licensing and certification in most states. Interior decorators do not need to complete training because their work centers on aesthetics. Decorators are not involved in the design or renovation process because their role takes place after all architectural work has been finished. Interior designers have more expertise. Because designers complete more comprehensive training, they have far more expertise than decorators. Interior designers study everything involved in both the design and decorating process. This includes space planning, architecture, drawing and blueprinting, lines, light, scale, color schemes, styles and motifs, building codes, furniture, fabrics, and everything in between. This encyclopedic knowledge and experience is what sets interior designers apart from everyone else in the industry. Designers also work hand in hand with architects, developers, and contractors. They can lead the charge in any structural work that needs to take place in the home. Interior decorators are all about visuals. They can reinvent a room by helping homeowners with color palettes, wall and window treatments, furniture, lighting, fabrics, artwork, and accessories. Interior decorators are not proficient in actual design and architecture, and are not qualified to make any structural decisions. Interior designers also have access to exclusive resources. Because their work is so extensive, home designers build important relationships with vendors, contractors, manufacturers, and showrooms. Interior decorators also cultivate relationships, but not to the extent of designers. While there are many talented interior decorators out there, you’ll need to hire an actual interior designer if you plan on making more than just cosmetic changes to your home. Interior designers possess the necessary skillsets to renovate a space from top to bottom. If you’re simply looking to give your home more of a quick touch-up, then an interior decorator may work for you. 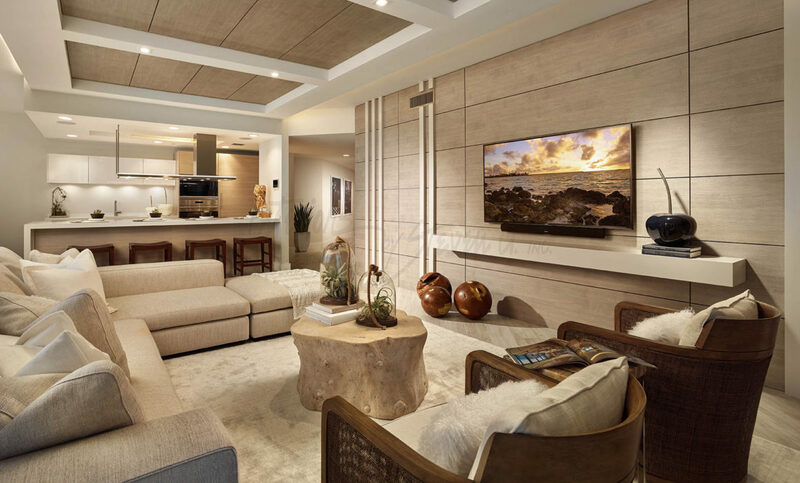 Interior designers are more expensive, but they have unparalleled expertise when it comes to creating functional and stunning spaces for homeowners.